Zuideramstel’s best-known area is the Rivierenbuurt, a middle-class neighbourhood with large brick-and-stone buildings of the Amsterdam School. The Amstel River meanders alongside it. Rivierenbuurt was merged with another district, Buitenveldert, to form Zuideramstel. The neighbourhood is notable for its sizable Jewish community, its secondary schools (including a university) and the shopping centre Gelderlandplein. 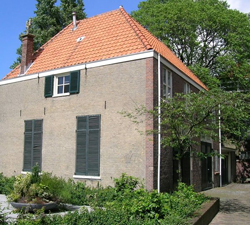 Zuideramstel has some of the highest property values in the city (along with Oud-Zuid and Centrum). The houses are slightly larger than average, and its population is relatively rich and quite old - more than one-fifth of residents are aged 65 or over. Single-person households are in the majority. Parking spaces are few and far between.